As I've mentioned a lot lately, I've been challenging myself to take more risks when it comes to the clothing I wear. At the moment, I'm really into skinny jeans. Having worn nothing but black skinny jeans through the entirety of 2006- 2010, it's funny that these days it seems like such an intimidating prospect. I'm absolutely loving my foray back into denim though, and I've had so many lovely comments both online and off. 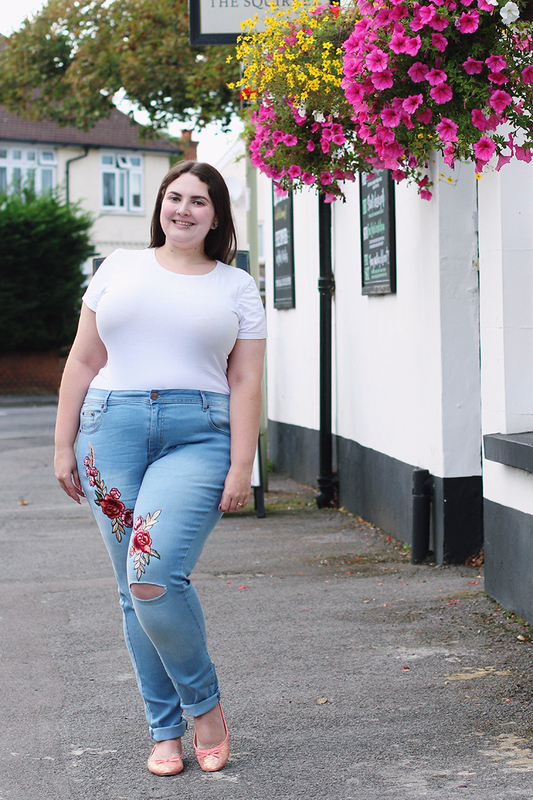 When CurveWow asked if I'd like to try an item from their collection, I saw these blue embroidered skinny jeans and absolutely fell in love. To my delight, they're even more beautiful in real life!